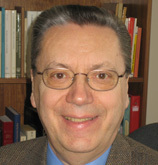 Reinhard Pummer’s research interests since his doctoral studies have been in the field of History of Religions, including the methods and history of the discipline. For many years now he has focused on a sister religion of Judaism, that is, Samaritanism. Like Christianity, Samaritanism as it has existed for the last two thousand years developed out of the matrix of the biblical tradition and became an independent religion. Today it has approximately seven hundred adherents who live on Mount Gerizim in Palestine and in a suburb of Tel Aviv in Israel. Reinhard Pummer has published on the formative period of Samaritanism, but also on the present day Samaritans. Among his publications are a pictorial documentation of ancient and modern Samaritan beliefs and practices in the series ‘Iconography of Religions,’ a reference work on Samaritans and Samaritan studies, an edition of Samaritan marriage contracts, a bibliography of the Samaritans, and a monograph on the Samaritans in early Christian writings. The Samaritans: A Profile. Grand Rapids, MI: William B. Eerdmans, 2016. The Samaritans in Flavius Josephus. Texts and Studies in Ancient Judaism, 129. Tübingen: Mohr Siebeck, 2009. XVIII+356 pp. A Bibliography of the Samaritans.With Alan David Crown. Third Edition: Revised, Expanded, and Annotated. ATLA Bibliography Series, 51. Lanham, MD. : Scarecrow Press, 2005. Proceedings of the Fifth International Congress of the Société d’ Études Samaritaines, Helsinki, August 1–4, 2000: Studies in Memory of Ferdinand Dexinger, ed. Haseeb Shehadeh and Habib Tawa with the collaboration of Reinhard Pummer. Paris: Librairie Orientaliste Paul Geuthner, 2005. Early Christian Authors on Samaritans and Samaritanism: Texts, Translations and Commentary. Texts and Studies in Ancient Judaism, 92. Tübingen: Mohr Siebeck, 2002. Samaritan Marriage Contracts and Deeds of Divorce. Volume II. In collaboration with Abraham Tal. Wiesbaden: Otto Harrassowitz, 1997. Samaritan Marriage Contracts and Deeds of Divorce. Volume I. Wiesbaden: Otto Harrassowitz, 1993. A Companion to Samaritan Studies. Editor and contributor, with A.D. Crown and A. Tal. Tübingen: J.C.B. Mohr (Paul Siebeck), 1993. Die Samaritaner. Wege der Forschung, 604. Ed., with F. Dexinger. Darmstadt: Wissenschaftliche Buchgesellschaft, 1992. The Samaritans. Iconography of Religions, XXIII, 5. Leiden: E.J. Brill, 1987. ‘Was There an Altar or a Temple in the Sacred Precinct on Mt. Gerizim?‘ Journal for the Study of Judaism 47 (2016) 1-21. ‘The Samaritans in Recent Research.‘ www.bibleinterp.com/articles/2015/12/ pum398030.shtml. December 2015. ‘Gerizim, Mount II. Christianity.‘ Encyclopedia of the Bible and Its Reception, Vol. 10, 116-117, ed. Dale C. Allison, Jr. et al. (Berlin; Boston: De Gruyter, 2015). www.degruyter.com/view/EBR/MainLemma_1932 (Encyclopedia of the Bible Online). ‘Samaria.’ In The Encyclopedia of Ancient History, ed. Roger S. Bagnall, Kai Brodersen, Craige B. Champion, Andrew Erskine, and Sabine R. Huebner (Malden, MA : Wiley-Blackwell, 2013), 6025-6027. [Also available online]. ‘Alexander und die Samaritaner nach Josephus und nach samaritanischen Quelle’, in Die Samaritaner und die Bibel / The Samaritans and the Bible: Historische und literarische Wechselwirkungen zwischen biblischen und samaritanischen Traditionen / Historical and Literary Interactions between Biblical and Samaritan Traditions, ed. Jörg Frey, Ursula Schattner-Rieser, and Konrad Schmid (Berlin; Boston: De Gruyter, 2012), pp. 157-179. ‘Aleksander og samaritanerne hos Josefus og i samaritanske kilder’, in Jerusalem, Samaria og jorden ender: Bibeltolkninger tilegnet Magnar Kartveit, 65 år, 7. oktober 2011, ed. Knut Holter and Jostein Ådna (Trondheim: Tapir Academic Press, 2011), pp. 81–98. ‘The Mosaic Tabernacle as the Only Legitimate Sanctuary: The Biblical Tabernacle in Samaritanism’, in The Temple of Jerusalem: From Moses to the Messiah: In Honor of Professor Louis H. Feldmann, ed. Steven Fine (New York: Brill, 2011), pp. 125-150. ‘Mt. Gerizim’; ‘Samaria’; ‘Samaritanism’; ‘Samaritan Pentateuch’, inThe Eerdmans Dictionary of Early Judaism, ed. John J. Collins and Daniel C. Harlow (Grand Rapids, MI: Eerdmans, 2010), pp. 675-676, 1181-1184, 1186-1188, 1189-1190. ‘Samaritanism – A Jewish Sect or an Independent Form of Yahwism?’, in Samaritans: Past and Present: Current Studies, ed. Menachem Mor and Friedrich V. Reiterer (Studia Samaritana, 5; Berlin: Walter de Gruyter, 2010), pp. 1-24. ‘The Samaritans and Their Pentateuch’, in The Pentateuch as Torah: New Models for Understanding Its Promulgation and Acceptance, ed. G. N. Knoppers and B. M. Levinson (Winona Lake, IN: Eisenbrauns, 2007), pp. 237-269. ‘The Tabernacle in the Samaritan Tradition’, Theoforum 37 (2006): 45-64. ‘The Rabbis and Samaritan Circumcision’, in Feasts & Fasts: A Festschrift in Honour of Alan David Crown, ed. Marianne Dacy, Jennifer Dowling and Suzanne Faigan (Mandelbaum Studies in Judaica, 11; University of Sydney: Mandelbaum Publishing, 2005), pp. 31-40. ‘Samaritans’, in Encyclopedia of Religion, Second Edition, ed. Lindsay Jones, Vol. 12 (Detroit: Macmillan Reference USA, 2005), pp. 8067-8071. ‘The Samaritans in Damascus’, in Samaritan, Hebrew and Aramaic Studies Presented to Professor Abraham Tal, ed. Moshe Bar-Asher and Moshe Florentin (Jerusalem: The Bialik Institute, 2005), pp. 53*-76*. ‘Foot-Soldiers of the Byzantines or Spies for the Muslims? The Role of the Samaritans in the Muslim Conquest of Palestine’, in Biblical and Near Eastern Essays: Studies in Honour of Kevin J. Cathcart, ed. Carmel McCarthy and John F. Healey (Journal for the Study of the Old Testament, Supplement Series, 375; London; New York: T & T Clark, 2004), pp. 280-296. ‘The Samaritan Ketuba and Deed of Divorce’, in The Samaritans, ed. Ephraim Stern and Hanan Eshel (Jerusalem: Yad Ben-Zvi Press, 2002), pp. 648-660 (in Hebrew). ‘Samaritanism in Caesarea Maritima’, in Religious Rivalries and the Struggle for Success in Caesarea Maritima, ed. T.L. Donaldson (Studies in Christianity and Judaism/Études sur le christianisme et le judaïsme, 8; Waterloo, Ontario: Wilfrid Laurier University Press, 2000), pp. 181-202. ‘Die Samaritaner heute’, Mitteilungen und Beiträge der Forschungsstelle Judentum – Theologische Fakultät Leipzig 15/16 (1999): 66-86. ‘Samaritan Synagogues and Jewish Synagogues: Similarities and Differences’, in Jews, Christians, and Polytheists in the Ancient Synagogue: Cultural interaction during the Greco-Roman Period, ed. Steven Fine (London and New York: Routledge, 1999), pp. 118-160. ‘The Greek Bible and the Samaritans’, Revue des études juives 157 (1998): 269-358. ‘Samaritan Tabernacle Drawings’, Numen 45 (1998): 30-68. ‘The Samaritans in Egypt’, in Études sémitiques et samaritaines offertes à Jean Margain. Ed. C.-B. Amphoux, A. Frey, U. Schattner-Rieser (Histoire du texte biblique, 4; Lausanne: Zèbre, 1998), pp. 213-232. ‘Samaritans’, in The Oxford Encyclopedia of Archaeology in the Near East (New York: Oxford University Press, 1997), pp. 469-472. ‘Samaritan Marriage Contracts and Deeds of Divorce’, in New Samaritan Studies of the Société d’Études Samaritaines, ed. A.D. Crown and L. Davey (Sydney: Mandelbaum Publishing, 1996), pp. 529-550. ‘The Samareitikon Revisited’, in New Samaritan Studies of the Société d’ Études Samaritaines, ed. A.D. Crown and L. Davey (Sydney: Mandelbaum Publishing, 1996), pp. 381-455. ‘A Samaritan Manuscript in McGill University’, Fontanus 5 (1992): 161-172. ‘Einführung in den Stand der Samaritanerforschung’, in Die Samaritaner, ed. F. Dexinger and R. Pummer (Wege der Forschung, 604; Darmstadt: Wissenschaftliche Buchgesellschaft, 1992), pp. 1-66. ‘The Samaritans - A Jewish Offshoot or a Pagan Cult?’ Bible Review7 (October 1991): 22-29 and 40. ‘Were There Samaritan-Christian Churches?’ in Proceedings of the First International Congress of the Société d’ Études Samaritaines, Tel-Aviv, April 11-13, 1988, ed. A. Tal and M. Florentin (Tel-Aviv: Chaim Rosenberg School for Jewish Studies, Tel-Aviv University, 1991), pp. 123-138. ‘Samaritan Material Remains and Archaeology’, in The Samaritans, ed. A.D. Crown (Tübingen: J.C.B. Mohr [Paul Siebeck], 1989), pp. 135-177. ‘Inscriptions’, in The Samaritans, ed. A.D. Crown (Tübingen: J.C.B. Mohr [Paul Siebeck], 1989), pp. 190-194. ‘Samaritan Rituals and Customs’, in The Samaritans, ed. A.D. Crown (Tübingen: J.C.B. Mohr [Paul Siebeck], 1989), pp. 650-690. ‘Nablus und Tel Aviv - Tradition und Moderne.’ In Geisteshaltung und Umwelt: Festschrift zum 65. Geburtstag von Manfred Büttner, ed. W. Kreisel (Abhandlungen zur Geschichte der Geowissenschaften und Religion/Umwelt-Forschung, 1; Aachen: Alano-Verlag, 1988), pp. 405-414. ‘Samaritan Amulets from the Roman-Byzantine Period and their Wearers.’ Revue Biblique 94 (1987) 251-263. ‘A Note on Theodotus and Homer.’ With M. Roussel. Journal for the Study of Judaism 13 (1983) 177-182. ‘Genesis 34 in Jewish Writings of the Hellenistic and Roman Periods.’Harvard Theological Review 75 (1982) 177-188. ‘The Samaritan Manuscripts of the Chester Beatty Library.’ Studies: An Irish Quarterly Review 68 (1979) 66-75. Reprinted in Proceedings of the Irish Biblical Association 6 (1982) 103-115. ‘Antisamaritanische Polemik in jüdischen Schriften aus der intertestamentarischen Zeit’, Biblische Zeitschrift 26 (1982): 224-242. ‘Aspects of Modern Samaritan Research.’ In History of Religions: Proceedings of the Thirteenth International Congress of the International Association for the History of Religions (Lancaster, 15-22 August 1975), ed. Michael Pye and Peter McKenzie (Leicester Studies in Religion, 2; Leicester, England: Department of Religion, University of Leicester, 1980), pp. 87-88. ‘New Evidence for Samaritan Christianity?’ The Catholic Biblical Quarterly41 (1979) 98-117. ‘Samaritan Manuscripts in Toronto.’ Revue de l’Université d’Ottawa 46 (1976) 345-363. ‘The Present State of Samaritan Studies’, Journal of Semitic Studies 21 (1976): 39-61; 22 (1977) 27-47. ‘Recent Publications on the Methodology of the Science of Religion.’Numen 22 (1975) 161-182. ‘Religionswissenschaft or Religiology?’ Numen 19 (1972) 91-122.